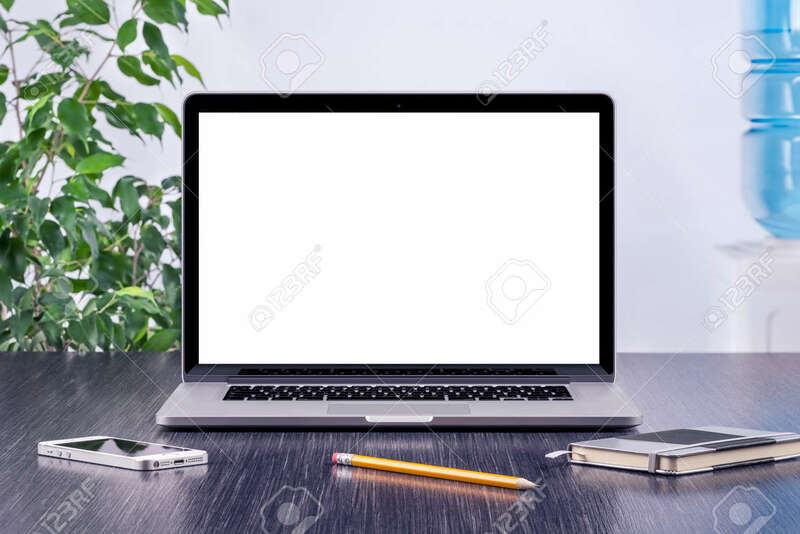 Laptop Computer Mockup With Blank Screen On Office Wooden Desk... Stock Photo, Picture And Royalty Free Image. Image 41302678. Stock Photo - Laptop computer mockup with blank screen on office wooden desk. For design presentation or portfolio. All gadgets in full focus.